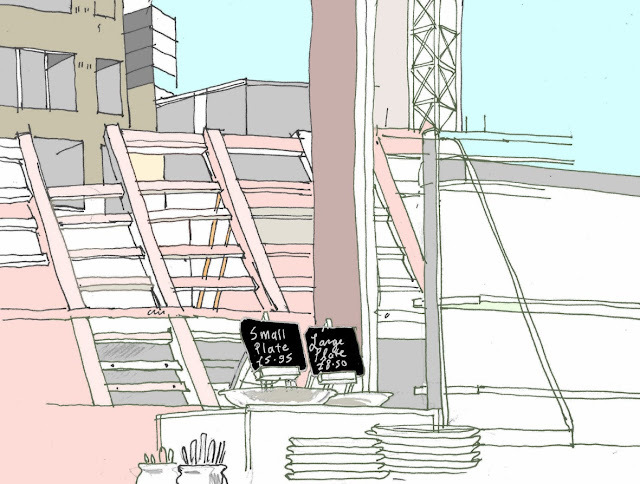 The Tate Modern in London is building an extension. Designed by Herzog & de Meuron, you can take a look at what the finished building will look like here at http://www.tate.org.uk/about/projects/tate-modern-project. 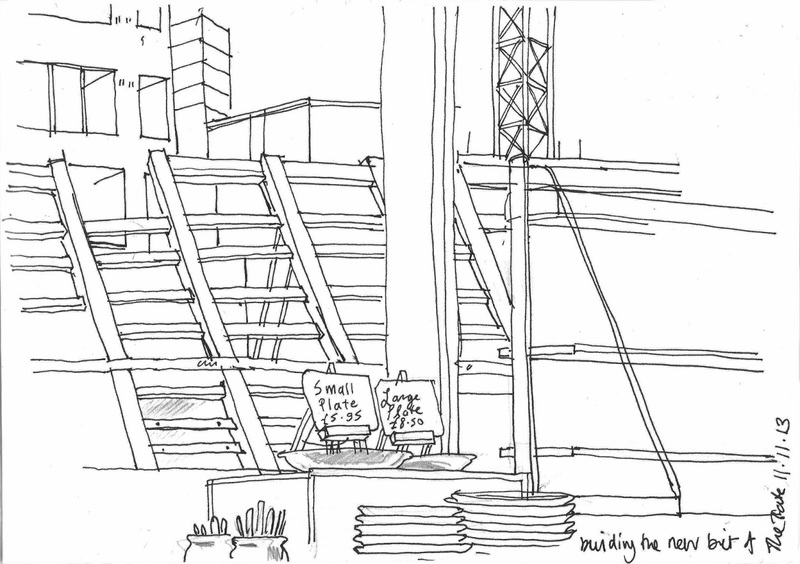 I sketched the skeleton like structure from the fifth floor of the main building.